© 2018 Brownswood Recordings. All rights reserved. Brownswood Recordings, the record label founded by DJ Gilles Peterson to document the London jazz scene, strikes again. This time around, we are formally introduced to London septet Maisha through their full-length debut album There is a Place. Led by drummer Jake Long, and featuring the talent of Amané Suganami, Tim Doyle, Twm Dylan, Shirley Tetteh, Yahael Camara-Onono, and Nubya Garcia, the group delivers on the promise of their 2016 Jazz Re:freshed EP Welcome to a New Welcome. There is a lot to unpack on this new disc. But why bother? If something so perfectly packaged is delivered to you so completely, it would be almost rude to pick it apart. However, some things are worth mentioning before you let the music carry you away – because it will carry you away. The opening “Osiris” seems almost orchestral in scope, its title no doubt referring to “Isis and Osiris,” the closing track of Alice Coltrane’s Journey in Satchidananda. 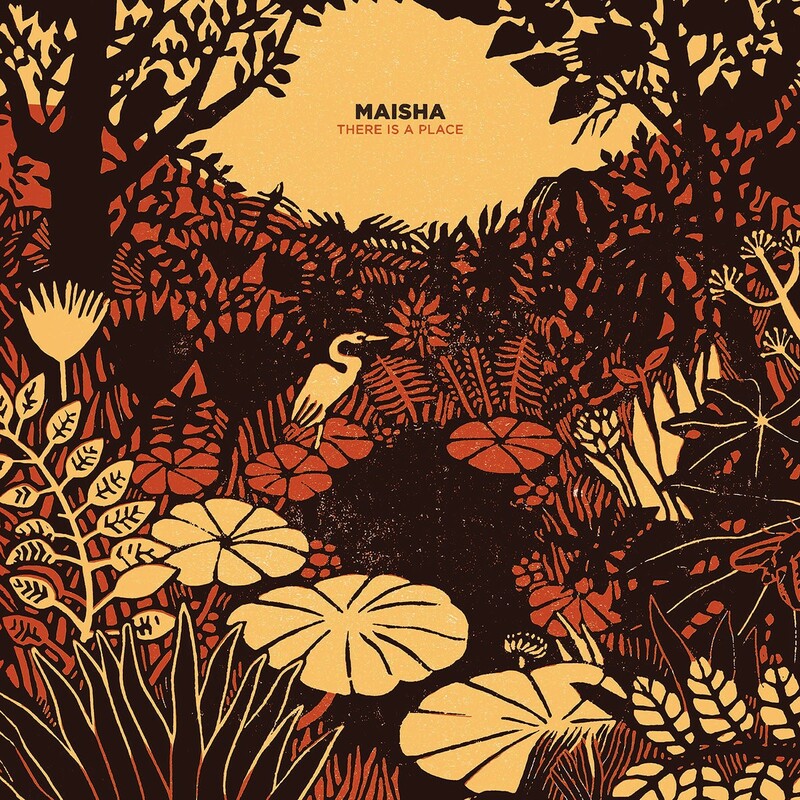 Maisha definitely places itself in the tradition of that 1970 spiritual jazz masterpiece of while adding contemporary flair on tracks such as “Eaglehurst/The Palace,” on which Garcia takes the spotlight. With only five tracks to create a 45-minute sonic trip, each composition gradually develops into a grander statement, whether serene (“Azure”) or verging on the jubilant (“Kaa”). In today’s jazz scene, there definitely is a place for music such as this: mindful of its spiritual predecessors while slowly but surely pushing the boundaries of jazz.